Guest Blog: ‘History of Medical Coding’ by Susan Gorgalini. Susan Gorgalini is a writer focusing on history and medical history. She has wrote for a broad range of websites and publications. When the United States’ Department of Health and Human Services pushed forward the implementation of the ICD-10 standard for medical coding, it highlighted the increasingly complex world the system has come to inhabit. Similarly, the switch also points out that ICD-9 and ICD-10 information would soon been in high demand as hospitals and doctor’s offices across the country prepared for the shift. However, according to InformationWeek, the delay came after health care providers argued that the deadline was too burdensome given the array of other developments in the industry, such as the transition to electronic medical records. At the same time, the new deadline means that the United States will not fully implement ICD-10 until almost a quarter-century after its adoption, and a year before the standard is due to be revised again. To understand what happened, it’s worth taking a look at how medical coding has evolved over the years, and the increasingly complex set of needs it must address. When medical science first began attempting to classify illnesses, the work was usually done post mortem. 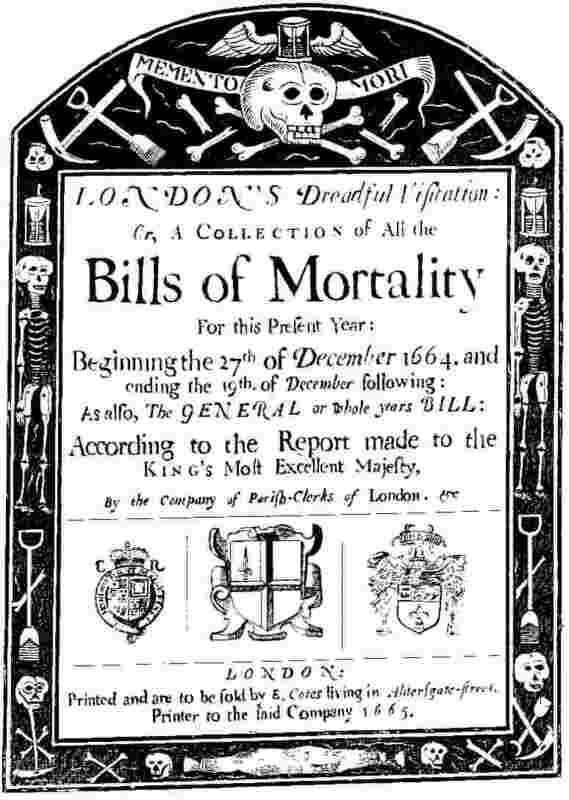 The Bills of Mortality, a weekly report on deaths within the boundaries of London, provided the basis for John Graunt’s groundbreaking statistical analysis of child mortality rates in the mid-1600s. The Bills were not an especially precise statistical instrument, not least due to the lack of a consistent terminology. That problem would not be solved until the 1830s, when British epidemiologist William Farr convinced the International Statistical Congress to request a uniform medical classification system that evolved into the International List of Causes of Death. While his list was focused on providing more accurate death statistics, Farr also prepared a separate report on non-fatal diseases. The timing was fortuitous, as a ScienceNews article describes how Florence Nightingale would go on to use this list as a basis for her method of applied statistics that helped to revolutionize the British hospital system in the 19th century. The two lists began to merge in 1900, when the international conference revised the Causes of Death list and published an official set of disease classifications as well. After several more minor expansions, a full overhaul after World War II led to the adoption of the new and comprehensive International Statistical Classification of Diseases, Injuries, and Causes of Death in 1948. The 1900 conference was also the first of a series of decennial meetings to revise and expand the classification list. That pattern lasted through the ninth revision in 1975, when it was realized that medical practitioners no longer had time to implement the new medical coding schemes before work on the next revision began. Therefore, the tenth revision, ICD-10, was delayed five years, to be adopted in 1990, and given a full 25 years to be implemented. Part of the reason ICD-10 has taken so long to implement is its size: InformationWeek notes that the standard includes 68,000 diagnosis codes and 87,000 procedure codes, up from 13,000 and 11,000 in ICD-9, respectively. With medical coding moving from paper-based to electronic systems and expanding into fields such as mental health, dental and prescription drugs, that extra complexity could expand even more when work begins on ICD-11. That task is set to begin in 2015. Medical coding is a valuable tool for researchers, practitioners, and administration. As knowledge of disease and treatment expand, in addition to the rapid explosion of database management, the ability to collect and store information on medical treatment grows exponentially. The new ICD-10 code is designed to be a far more refined tool than the ICD-9, and ICD-11 will undoubtedly represent another revolutionary advance. Yet, ICD-10 has proven particularly challenging for the medical industry, and full implementation may still lie years in the future. These Bones of Mine Archaeological Note…. The ICD 10 implication problems mimic some of the larger problems in the world of palaeopathology, and the often misdiagnosed skeletal manifestations of disease in archaeological material. In the world of palaeopathology, no singular method is dominant in the application of a standardised pathological diagnosis of the presence of disease. Waldron’s 2009 palaeopathology manual has, in some way, rectified and highlighted this issue with the presence of ‘operational definitions’ for the presence of pathological bone. Other researchers, notably Charlotte Roberts, of the Universityof Durham, is also highly active in the field of palaeopathology, and its standardisation across national and internal borders.